"This Is Us" asks viewers to believe in miracles during a time-jumping Season 3 premiere. During the hourlong return of “This Is Us,” two scenes stand out in terms of what’s working and what’s not. 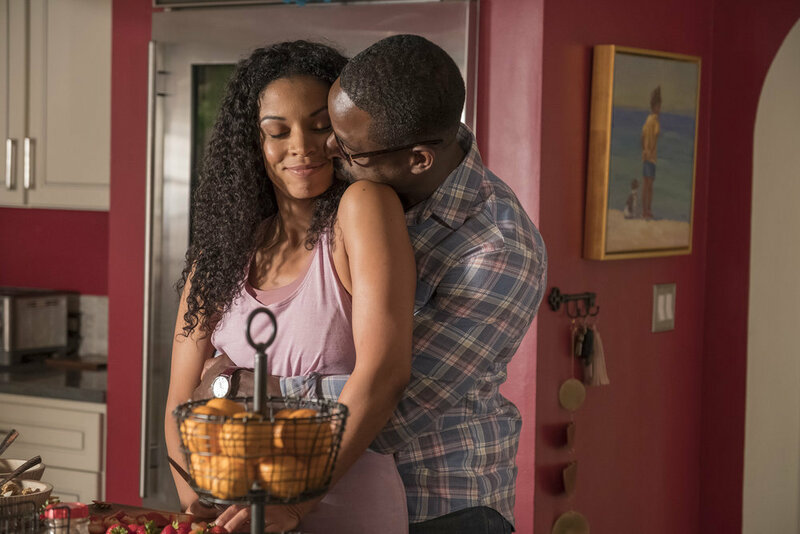 On the heartening side — surprise, surprise — it’s Randall (Sterling K. Brown) and Deja (Lyric Ross). Using his birthday as reason for reflection, the fan and family favorite drives his prospective daughter to his father’s old home. There, he tells her his life has been defined by being adopted, and he asks her to choose whether or not she would like to officially be made a part of his family. It’s a great speech, one Randall later admits to rehearsing, but it doesn’t go as planned. Deja isn’t honored or moved by Randall letting her choose; she’s pissed that he’s reducing her story to mimic his own. “Don’t tell me we’re the same,” she says. “Don’t tell me I have a choice in anything.” She storms off, and Randall is left to process what he’s learned from the whipsmart young lady. To take a step back and look at the scene from a narrative standpoint, this is a big, manufactured moment of sentimentality. If Deja went along with Randall’s plan, there would’ve been a big hug and two people crying onscreen amid a sea of folks weeping off of it. But that would’ve been false. That wouldn’t have felt authentic to Deja’s journey, and really, it would’ve been lazy writing to reduce her journey to Randall’s. (Lyric Ross is a stellar addition to the cast, putting out more great, understated work here.) Along with great use of humor throughout Randall and Deja’s journey — the birthday gift reveal later on is a cherry on top of their sundae — the scene resonates because Deja pops Randall’s bubble. Unfortunately, no one does Kate the same favor. 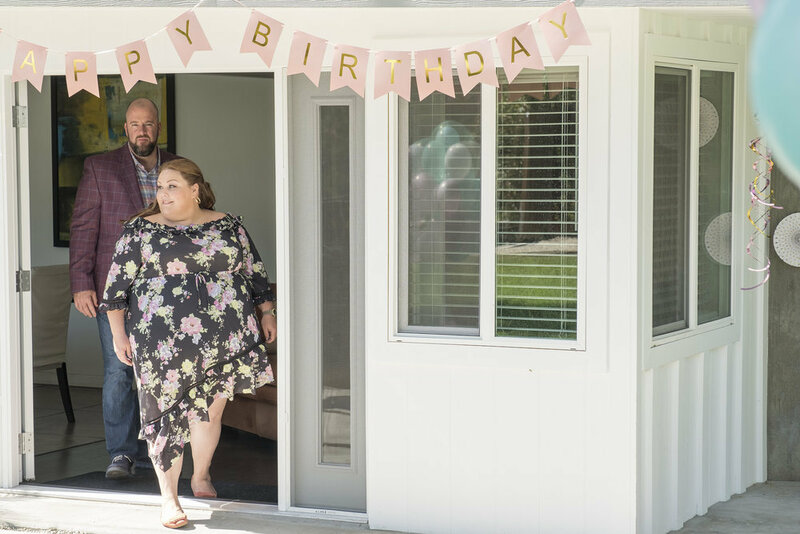 Later on, Kate (Chrissy Metz) can’t contain her sorrow anymore, even though she’s stuck at her own birthday party. You can’t blame her: She’s just been told no doctor will ever help her have a baby, and that’s pretty rough news given she lost a baby the year prior. But when and how she has her big confessional moment is phony and forced. Presented a carrot cake made of nothing but raw carrots, Kate tells Madison (Caitlin Thompson) and all her friends gathered around her some very personal, long-repressed feelings. Kate isn’t exactly a gregarious person in general, so to have her spill so much in the form of a speech just doesn’t sit right. The framing tries to hide it with a lot of close-ups and cuts between just Kate and Toby (Chris Sullivan) — to emphasize their intimacy — but it’s not enough to hide that this is an obligatory bit of feelings; that “This Is Us” is hitting its hourly quota of tearjerking moments. Even the jokes meant to temper the scene’s self-seriousness fall flat, with Madison’s acknowledgment of the carrot cake feeling just as forced as the speech preceding it. Framing both scenes and the hour overall is the story of Pittsburgh Steelers’ fullback Franco Harris and his Immaculate Reception. The end-of-episode narration (courtesy of a sports reporter) frames each character’s arc as a “remarkable comeback,” from Jack and Rebecca’s (Mandy Moore) first date, to the doctor reversing her decision to help Kate get pregnant, to Kevin (Justin Hartley) dating Zoe (Melanie Liburd) despite Beth’s (Susan Kelechi Watson) disapproval, to Deja accepting Randall’s invitation to adopt her. Similarly, the audience is again asked to believe in miracles; to go along with all of these slight and vast narrative stretches for the sake of the show’s greater goal: mining tears. OK, OK, Dan Fogelman’s drama has more on its mind than that, but it’s an intriguing query given recent developments in the series. After back-to-back Emmy-winning seasons, the high-rated NBC drama has earned acclaim for its cast and disdain for its morose mysteries. Season 2, especially, faced backlash for how long it teased the question, “How does Jack die?” After all, for a series claiming to be about the many moments that make life great, it seems a bit trite (to put it mildly) to dwell on the specific end point instead of better exploring what made his life so special. Will Season 3 slide toward the Randall side of earning its sentimentality or Kate’s? With no fresh reason to abandon ship, audiences will likely stick around to find out. Here’s hoping the miracle is memorable for the right reasons. “This Is Us” airs new episodes Tuesdays at 9 p.m. ET on NBC.